Australia’s pub scene is well known and with many pubs in Sydney being gentrified and made into multi million dollar real estate we thought we would bring a pop up pub to Sydney. 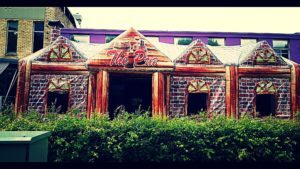 The Inflatable Pub has two rooms and it has that warm feeling like you are actually in a cosy pub. The Pub pops up in around 5 minutes with set up being about a half hour. 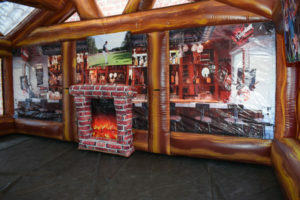 Inside the Inflatable Pub has makeshift televisions on the wall, look alike brickwork, fireplace and chimneys. 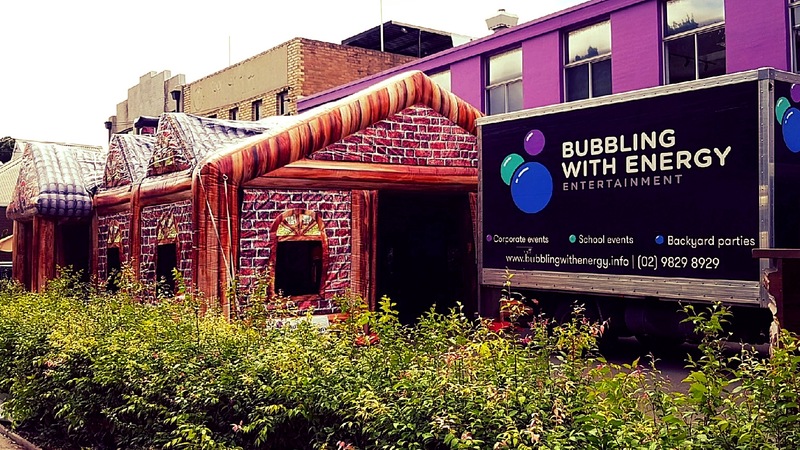 Bubbling With Energy’s Inflatable Pub carefully designed by our team of industrial designers even includes inflatable ice buckets in each corner of the pub. Our design is so unique we even made the blower multi task as it also pumps air through the support beams for constant air flow therefore it becomes much cooler than a marquee. Brand activation companies in Sydney will love the concept. 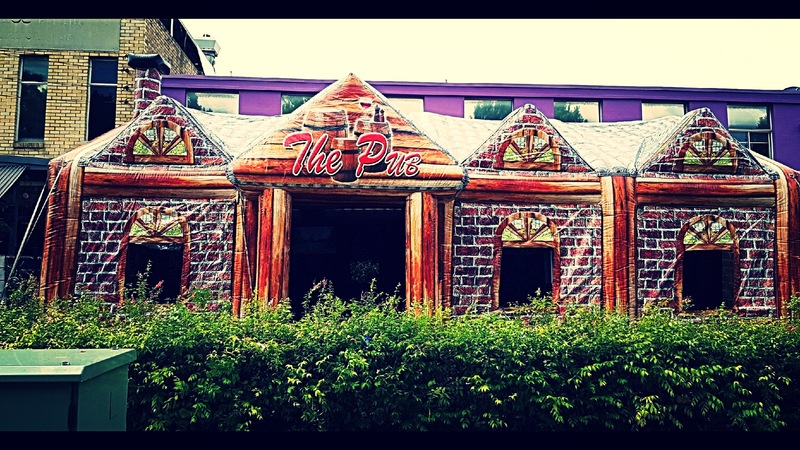 The Inflatable Pub designed with branding in mind uses velcro banners wherever possible. Add the Pub’s mobility, easy and fast set up, pack down and brands can make their own unique activation. 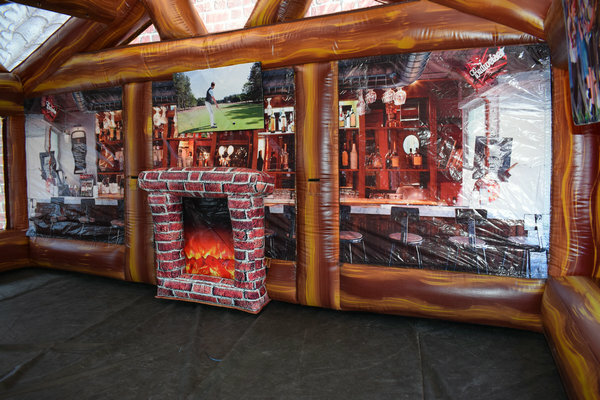 Set the Inflatable Pub up and make it an instant talking point for guests. We guarantee you that our design will blow your clients mind. Imagine a backyard party with your very own pub. Keep the weather outside and here we have a cosy pub where everyone can have a laugh and make your partner’s birthday special. We have also introduced a smaller pub for smaller events. 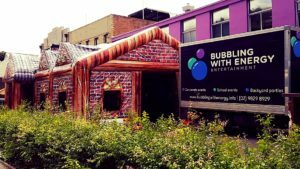 Check us out, you won’t be disappointed in your experience with Bubbling With Energy Pub Hire Sydney.